Boy Scouts' Ban On Gay Leaders Leads Disney To End Grants : The Two-Way Boy Scouts of America is "disappointed" by the decision. Disney says it doesn't support groups that aren't in line with the its policies. Gay boys may now be scouts. But gay adults may not be leaders. "The Boy Scouts of America are facing more fallout over their ban on openly gay leaders — this time from Walt Disney World, which has cut off funding through its employee volunteer program." "It has recently come to our attention that the grant program titled 'Ears to You' provided by Walt Disney World, to their employees, will be discontinued for Scouting volunteers. WDW [Walt Disney World] will no longer recognize volunteer hours with the Scout Council, District or Unit to receive grant funding. "We recognize that many Scout Units have received financial support over the last several years from this grant opportunity and are sad to see it go. The National BSA Council has reached out to WDW to try to resolve the situation, however, according to WDW, their views do not currently align with the BSA and they are choosing to discontinue this level of support." According to the Sentinel, "though a Disney spokesperson said the company would have no official comment on the decision, she did point to a corporate policy of not giving grants to groups that 'operate or support activities that are counter to the policies of The Walt Disney Company,' which is considered to be a gay-friendly employer." Boy Scouts of America spokesman Deron Smith said Sunday that the organization is "disappointed in this decision because it will impact our ability to serve kids." According to a Disney press release, in Florida last year the Walt Disney World Resort gave $955,000 to local organizations "in recognition of the more than 230,000 hours donated by Walt Disney World VoluntEARS in 2012. Cast Members earmarked the funds, known as Disney's EARS to You grants, for approximately 500 local nonprofits and community service groups. Top recipients include Central Florida Film Festival, Give Kids the World and SPCA of Central Florida." That works out on average to about $1,900 per organization. It was last May, you may recall, when the Boy Scouts voted to allow openly gay members — but to still exclude gays from serving as adult leaders. "N. Va. priest who ousted Cub Scouts over gays kept the popcorn money for Christian group"
"The Cub Scouts of Pack 683 in Fairfax [Va.] did a brisk business selling popcorn in August and September. Peddling boxes outside grocery stores and on neighbors' doorsteps, they raised about $2,800 for medals, camping and other expenses. "The vast majority of the boys will never benefit from the funds they collected. 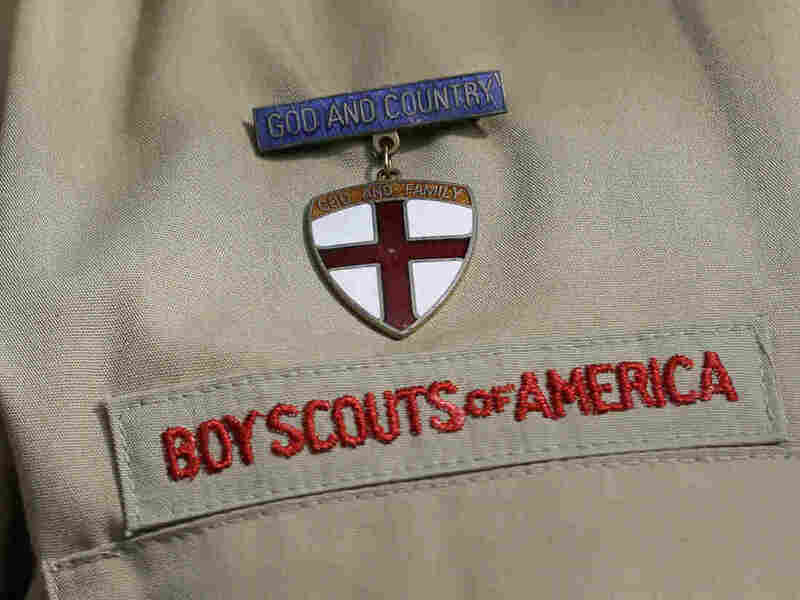 The Roman Catholic priest at the church that sponsored the pack kept the money when he canceled the pack's charter in response to the national Boy Scout organization's decision to admit openly gay youths."